The A9 is the main gateway to the North of Scotland, otherwise known as the Highlands. It's a dangerous road, with lanes switching from single to dual carriage on a consistent basis. Throw in fixed speed cameras, variable conditions, boy/girl-racers and mobile speed cameras; it's never possible to switch off. 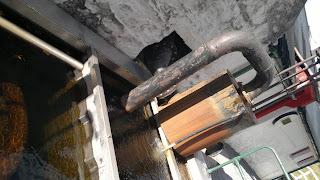 Over the years I've seen so many bizarre things on the road but one welcome constant are the distilleries. It is by no means Speyside with distilleries around every bend. 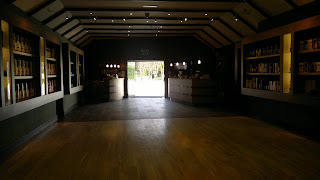 Rather you can expect an interesting mix with the main 3 attractions (Dalwhinnie, Tomatin and Edradour) well spaced out. Each is distinctive and offers a warm welcome for the weary traveler. 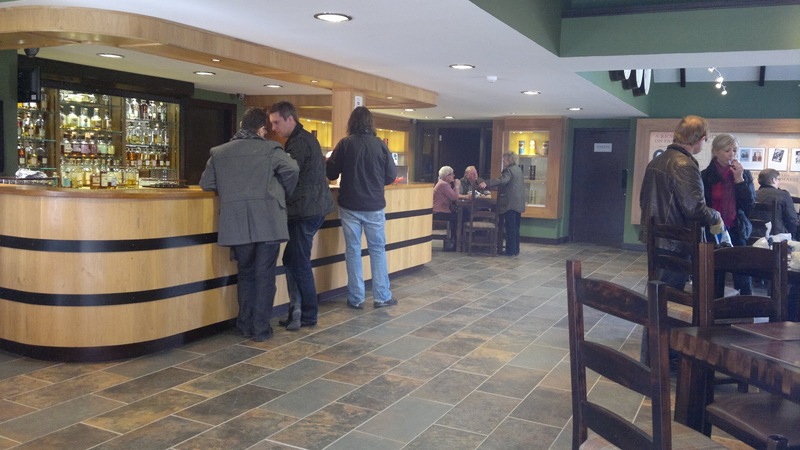 Edradour also has the benefit of being the first and it just outside the tourist haven of Pitlochry - home also to the Bells distillery. 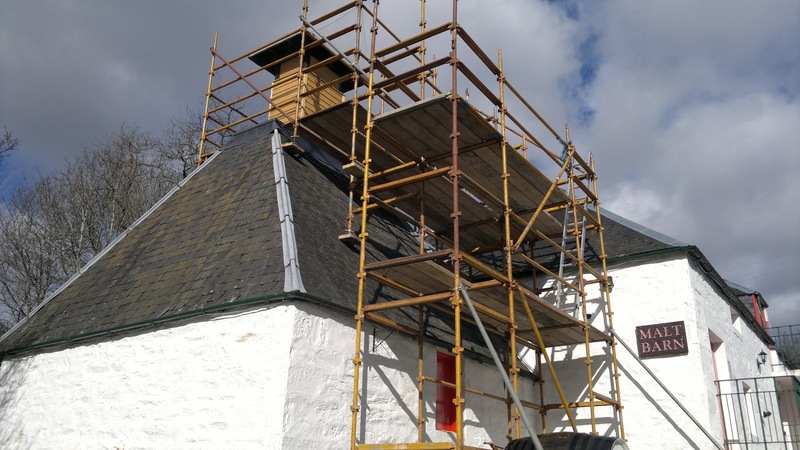 Set in a wee glen in the hills high above Pitlochry, Edradour has been on this site since 1825. 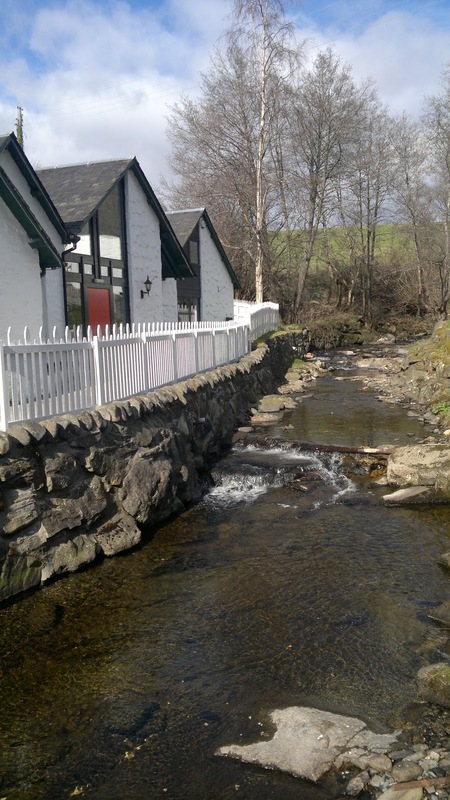 It is wonderfully picturesque with the burn running alongside the distillery and the original buildings clustered around a tiny encampment. Being Scotland's smallest distillery it has a real sense of charm and authenticity. 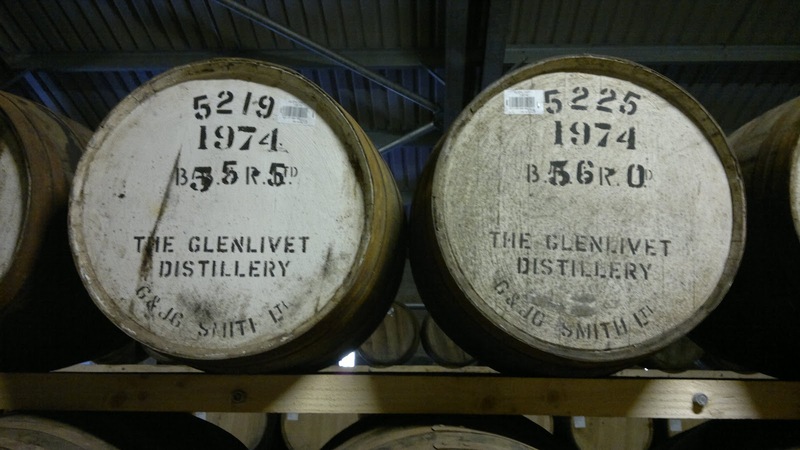 Production is not high on the agenda, as only 12 casks are produced weekly; compare that to some of the other distilleries I've visited here and you'll appreciate why Edradour is not readily available. If only every distillery was as charming to look as Edradour; you'd almost forget to visit the tasting room! If you do manage to find a bottle, it's most likely the 10 year malt which is also available in North America. Light, creamy and easily drinkable it's not one you need to add water with, but lacks character. 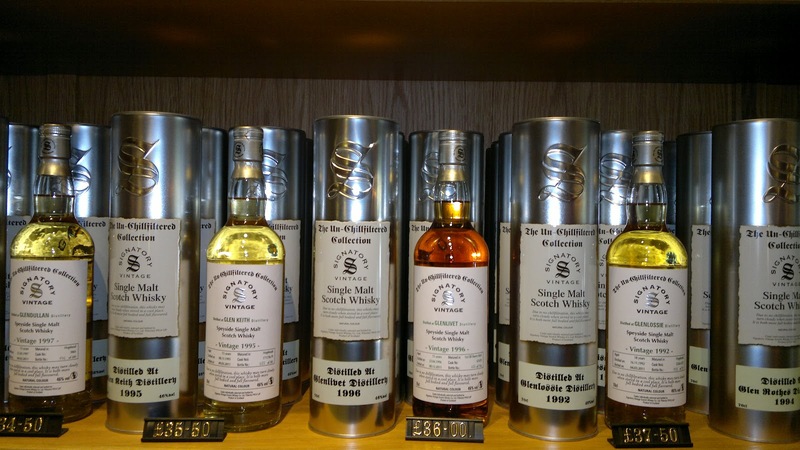 Older releases of Edradour or a range of cask finishes are only really available from a delightful shop at the distillery. 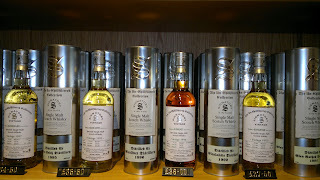 This has the full range of products and also an amazing selection of specially bottled casks from other notable names. All of the buildings have been put to good use. 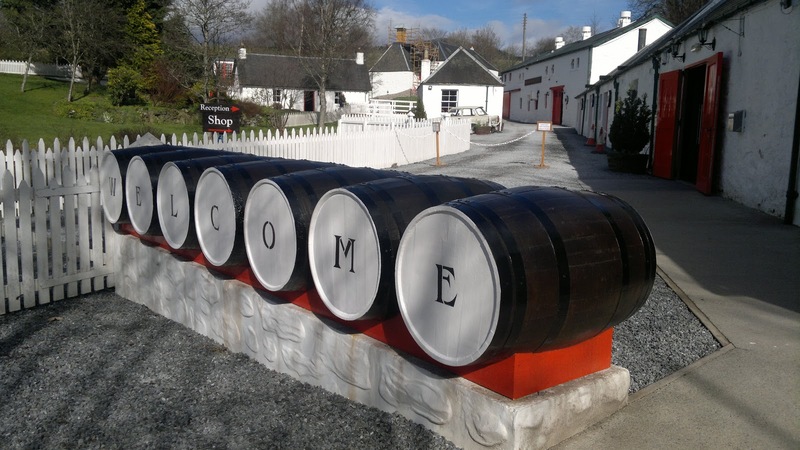 Edradour might not be a resident on retailers shelves but with 100,000+ visitors to the distillery each year they probably only make enough to cater for the tourist trade. The tour kicks off with a 8 minute film about the history of the site and what makes Edradour so traditional. This is where you'll have a taste of the dram, although there is a well stocked cafe over the picturesque bridge if you should wish to taste more. 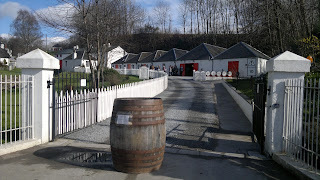 After the film, you're lead up to the very back of the distillery site where the new warehouses have been built. These are done in a traditional style and fit in well with the overall style. 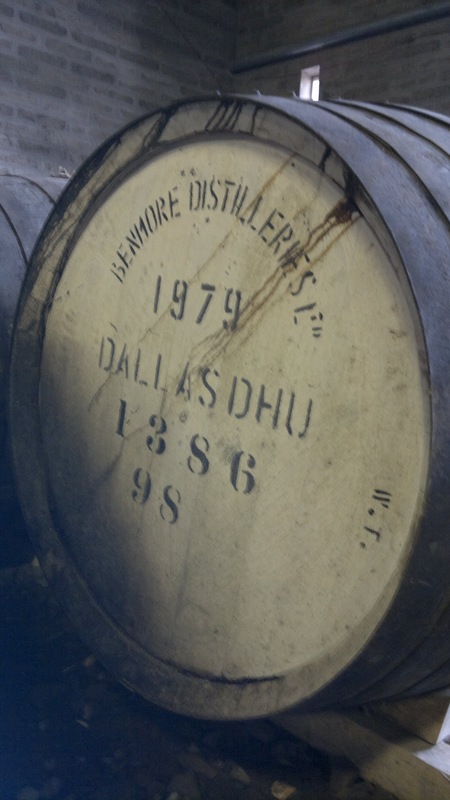 Currently Edradour stocks around 4500 casks and they will have room eventually for 12,000 or thereabouts. Yes, far too much for their own produce, instead a source of income comes from storing casks and private bottling releases. There's even a huge hall up there that can accommodate 300 locals for concerts. On the way up the hill, you'll pass the Malt Barn, which isn't in use but has remained dormant. 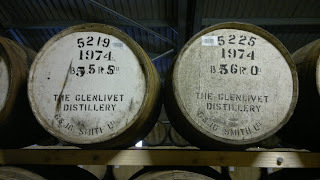 Like so many distilleries the barley comes from Inverness nowadays. Yet this building is being restored and will open shortly; a wonderful location for special private tastings. Reaching the warehouse a real treat arises as you are able to venture into the atmospheric and aroma-filled cask haven. You can check out my photographs for more of the barrels and what they have inside that warehouse. Heading back down the hill towards the heart of the distillery you can see their own version of the worm tubs that are connected to the 2 stills. These stills are apparently 1cm above the size for an illicit still. The 2 stills are tiny; this is probably nearest we have to an illicit still in existence today. Also in use is the last remaining Morton refrigerator in Scotland. Yes, I've never seen one on my travels and while the original has been replaced by a stainless steel modern equivalent, remember it took 2 men in Elgin 5 months, to faithfully recreate the original. 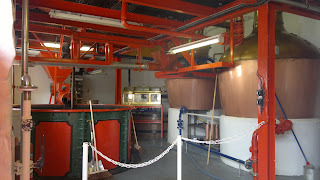 The 2 original pine Washbacks continue the tiny theme with the whole production process within a single room. That pretty much wraps up the tour, while it's not the longest there is real character which commences with the excellent tour guide, right through to everything else. The shop or tasting bar awaits - Slainte Mhath! As ever, my photographs, all 100+ are available right here.